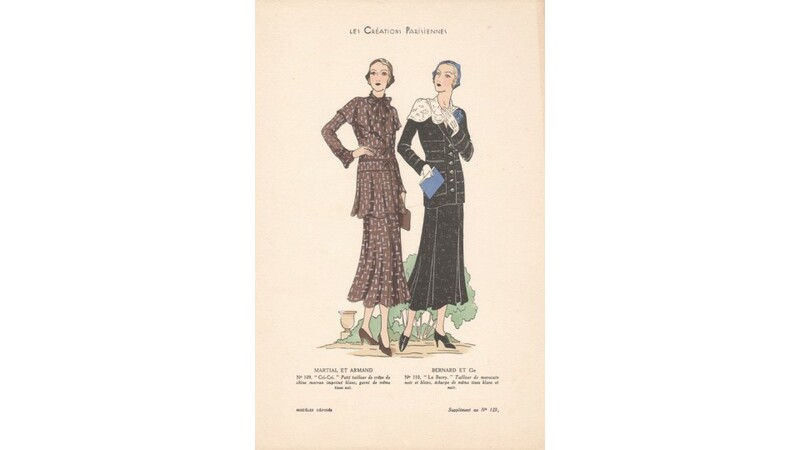 French fashion design published as part of a portfolio of pochoirs in Paris in 1931. 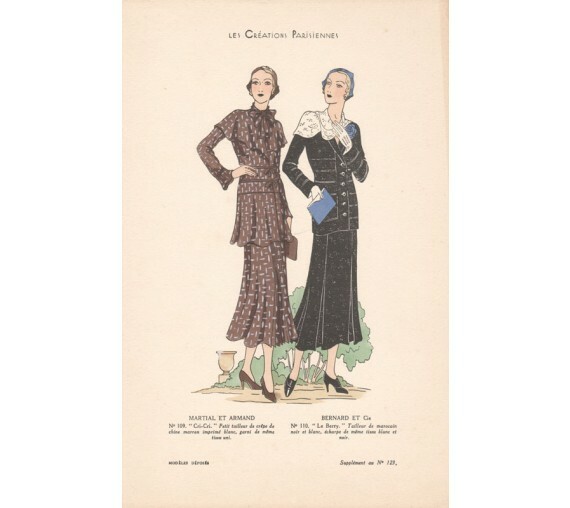 The designer and description of the outfits is described in French beneath the image. Pochoir is French for stencil. The term is applied to a class of print usually hand-coloured through a series of carefully cut out stencils. 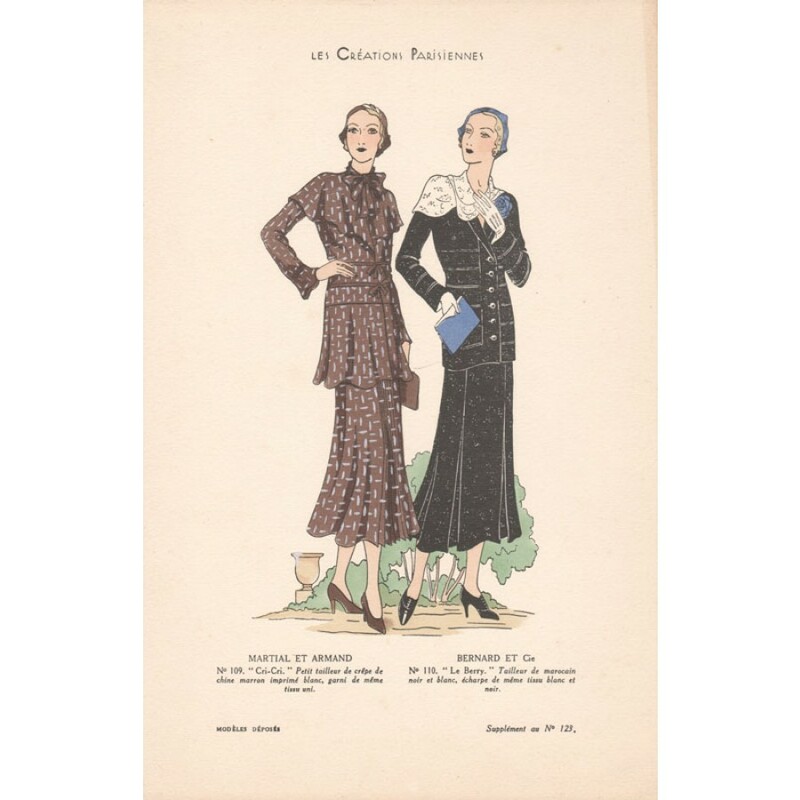 This process was much used in Paris during the early decades of the 20th century and was especially popular in the art deco period and used for fashion plates in particular.